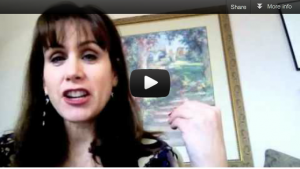 Nancy Juetten Archives | Morgana Rae & Charmed Life Coaching, Inc. 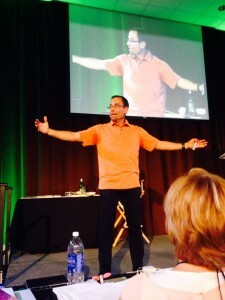 This weekend I was in Washington State, giving the keynote address (two hours!) to over 200 hundred women at the third annual “Women’s Day of Empowerment” in Olympia, Washington. I met women–coaches, healers, artists, marketers, bankers, broadcasters–I hope to know forever. She’s one of the sweetest, smartest, most successful women I know. 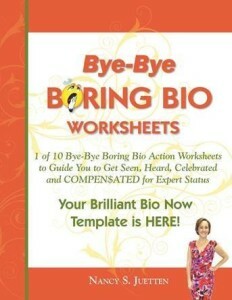 Truly one of the world’s leading experts on writing a sizzling bio that attract clients, cash, and media attention. But I noticed she her doing something–something we ALL do–that wasn’t serving her at all. So, I extinguished my Money Monster during your talk.